Perlis is the smallest state of Malaysia and is situated in the northwest of the Peninsular. It's bounded by Thailand in the north, and by Kedah to the east and south. Its western coastline borders the Straits of Malacca. It measures approximately 810 sq km and has a population of 217,480. The state capital is Kangar (here's the government), while Arau, 10km away, is the Royal town. Although small in size, Perlis is not without its attractions, foremost among which is its serene beauty. Perlis, too, abounds with rustic rural scenes and rolling green fields of padi. There's not much tourism. Even the capital Kangar is surrounded by padi fields, which sometimes look green and sometimes golden. That depends of course on the season. 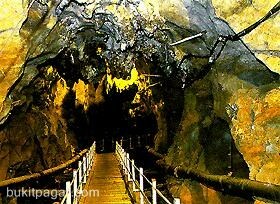 The Kelam cave is a 370-metres long limestone cave at the small town of Kaki Bukit. The name of the cave literally means, " At a foothill lies a dark cave". The approach to the cave is via a suspended bridge making the cave a unique and adventurous experience for visitors. This is a border town. It can be said with some degree of truth that Thailand and Perlis merge in this town, because the border is unseen although the relevant signboards and cheek - points bear testimony to the fact. The town is also the major stopover from rail travel to Thailand. Beyond the rail tracks is Pekan Siam - a bargain hunters' paradise. Besides agricultural goods, duty free shopping is also available in Padang Besar. The coastal fishing town of Kuala Perlis, 13 km from Kangar is the major departure point for the fabled Langkawi island and has a ferry terminal for island bound passengers. 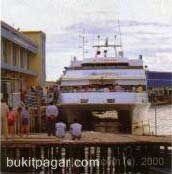 Kuala Perlis is located at the estuarine delta of' the Sungai Perlis. The town of Kuala Perlis has just a couple of streets with plenty of restaurants which are popular for seafood and the local speciality of 'laksa' (rice noodle dipped in a fish-based gravy). 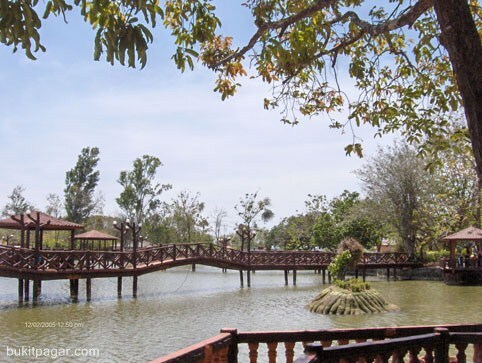 Tasik Melati is a small but picturesque lake located in a partially marshy lowland about 8 km north of Kangar. More than 150 sandbar-islands may be seen all over the lake. Sampans can be rowed to these tiny islands. Elevated walkways are also found over the waters of the lake, providing vantage viewpoints and seatings for visitors. Gunung Medan, situated 6 km south of Kangar, is a limestone outcrop, 300 feet high. A road climbs up to the peak. Stairways and walkways have been constructed. The place makes a suitable picnic spot. Sungal Batu Pahat is located 10 km east of Kangar. For golfers, the town offers a 9-hole golf course. It is relatively flat and has numerous obstructions and traps. It is reckoned to be a difficult par-72 course. In this place is also the Snake Farm.